I grew up eating nourishing, fresh home-cooked meals by my dedicated mother and listening to my charismatic father talk about his work as a doctor in helping people to feel their best again. Out of this came a love for tasty, wholesome food and a fascination with how you can heal the body physically and mentally to restore optimal well-being- using natural medicine. I knew I didn’t have the stomach to do the kind of training doctors do with all those needles, dissection and blood so that door was firmly closed! And so, my incredible journey as a Nutritional Therapist started. My mission when working with my clients is to make their transformational journey enjoyable and easy. And I want them to continue to reap the wonderful benefits long-term. Opening up doors of new possibilities for my clients, and seeing them flourish and feel at the top of their game is a real privilege for me to witness. It’s the most satisfying job on earth. With two grown-up children, I am very aware of the challenges involved for my clients in making dietary and lifestyle modifications within busy home and work environments. For this reason, I aim to make adjustments uncomplicated and manageable, and within your comfort zone. I use different therapies in my “tool- kit” because rarely does one approach on its own work as effectively as when they are combined. Especially when making dietary and lifestyle adjustments, we firstly need the scientific factual information to know what we need to do to improve our health. Then we also need tools to help us translate that knowledge into actually doing it and staying motivated. Plus, we might also need tools to help us overcome psychological and practical barriers that stop us reaching our goals. I have a First Class Honours BSc in Nutritional Therapy from the University of Greenwich and BCNH – the UK College of Nutrition and Health. I also have a BSc in Sociology from The London School of Economics and Political Science (LSE), which provides an ideal complement to my work as a Nutritional Therapist. In addition, I am also a fully Accredited Certified EFT (Emotional Freedom Technique, or “Tapping”) Practitioner, as well as a Certified Zest4Llife Health Coach. I belong to the British Association for Applied Nutrition and Nutritional Therapy (BANT), the Complementary and Natural Healthcare Council (CNHC) and the Association for the Advancement of Meridian Energy Techniques (AAMET). I have always been insatiable for knowledge to help develop myself professionally (and personally). So I genuinely look forward to attending Continuing Professional Development seminars, reading books and research articles etc to keep up-to date with nutrition research as it’s such a rapidly evolving field. I thoroughly enjoy working with my clients on a one-to-one basis as well as in corporate environments, delivering in-house nutrition clinics and seminars, including a documentary for Discovery Channel Asia. I love spreading the word about nutrition, it’s so rewarding! 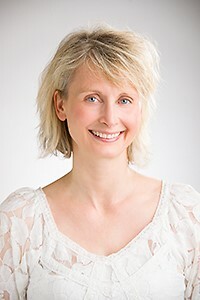 I have also worked as part of The Nutrition Coach team in Harley Street and as a Clinical Tutor and Academic Supervisor at BCNH – the UK College of Nutrition and Health.